With all apologies to Marshall McLuhan for reinterpreting his thesis that ‘the medium is the message’, I would guess that McLuhan never considered the powerful musical message that complements Jamaica, where in fact, the music is the message. It is the music that has defined the country but the extremely important footnote to add to that statement is that music is created by the people and reflects their joys, hardships, struggles and achievements, as well as social issues and celebrations. And what a celebration is ahead, as Jamaica celebrates 50 years since independence on August 6th. To start off the Victoria Day weekend, I attended a screening of “Marley” which had been premiered at Toronto’s Hot Docs Festival a few weeks prior. I imagine the film will quickly make its way across the country and travel agencies who market Jamaica to their clients should make plans now to first take their staff to a screening, and then consider holding a client evening in a local theatre. 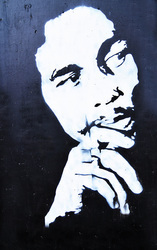 This is a great opportunity to mix and match your clients’ interest—and potential interest—in Jamaica with a wonderful music-filled biography of the man who contributed so much to the music and even the politics of the island: Bob Marley. But you know that Jamaican music is not all Bob. There has been a musical tradition on the island for hundreds of years and the mixture of people has certainly contributed to this. When the documentary spoke about Marley’s background (his mother was Afro- Jamaican, his father’s family came from England) I recalled a Jamaican friend telling me that her ancestry was Jamaican, Scottish, Jewish and Chinese. When I first visited Jamaica in 1984, we went to test whether camping would work for groups who wanted to save on hotel costs but still appreciate the island. So along with two colleagues from the tour company, we escorted 10 sixteen years olds for one week of camping, education and a bit of touring in the Montego Bay and Negril areas. The availability of a restaurant and a pretty good Jamaican cook did not allow us to proceed with the other objective of the trip, which was based on ‘survival’, and defined as catching our own lobsters and fish and then cooking them on camp fires each night. But living on a camp ground near the present day Iron Shores did afford us the opportunity to chat with the locals, exchange thoughts and ideas, and better understand how much we shared in common. And of course music was ever-present. In the pre-ipod, pre-walkman days, it was boom-box-on-the-beach every day from 8:00 am to 8:00 pm. We brought some music with us, ranging from the tunes of Kitchener, Ontario group “Messenjah” to home gown Jamaican artists such as Tiger and Yellow Man and Admiral Bailey, and we added to this some local radio songs that were a bit outrageous but delivered a social message: “Jackie, you’re pregnant”; “Peeping Tom”; “Give me the money” and how could one forget the irresistible, “Don’t bend down”. On the last night of our stay, the property owner brought a video-cassette of Bob Marley singing his greatest hits and ending with the song ‘One Love”. We asked why he left this until the last night and he explained that we would not have appreciated the life of Marley and the meaning of the songs, from a Jamaican perspective, if he had played it earlier. This way it would have a long term impact on our lives—and it did. I was able to return to Jamaica on four other occasions. And while some tourists hunkered down in the four and five star hotels, we got out and explored: Hanging out in Montego Bay, sitting in Sam Sharpe Square quaffing a Red Stripe beer and watching the world go by, munching jerk chicken from a local shack, visiting the craft market and chatting and joking (and even kibitzing around) with the sometimes aggressive but always friendly vendors. One time we hired a van to take us to Accompong in Cockpit Country to learn about the Maroons and the Canadian connection. Aside from their admiration for Pierre Trudeau for the school built by the Canadian Government during his tenure in office, we learned about the 600 Maroons that were sent off to Halifax in 1796 as a way for the British to ease the terrible tensions between the Maroons and the planters that became known as the Second Maroon war. And on other trips we simply played tourist and enjoyed rafting on the Martha Brae and relishing the wonderfully warm sunshine, beaches and hospitality that is complimentary with any visit to Jamaica. But let’s return to the movie, Marley, to see it as one more teaching tool for entry-level counsellors—and for veterans, to hone their knowledge of the country. Through interviews with Marley’s relatives, from scenes of his home town in Nine Mile in St. Anne Parish, the movie looks at the influences on Marley’s life and the change he underwent when he discovered Rastafarianism. We attend concerts with the Wailers, endure the European tour engagements, visit Africa and Japan and Toronto and we are finally end up at the April 22, 1978 “One Love Peace Concert” where in dramatic fashion, Marley got the two Jamaican political rivals, Michael Manley and Edward Seaga to join hands, while he mesmerized the audience with the song “Jamming”. Since Marley’s death on May 11, 1981, his influence still stands as a beacon for Jamaica tourism, but reiterating what was noted earlier, music is a by-product of the rich culture that created and nurtured it. And Jamaican culture and history and traditions are as rich as they come. With the 50th anniversary celebrations just around the corner, it’s a great time to educate your staff and your clients about the bounties of “The Land of Wood and Water” that came to be known as Jamaica.